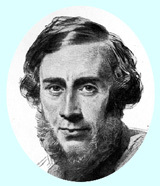 In 1859John Tyndall, intrigued by the recently discovered ice ages, took to studying how gases may block heat radiation and thus affect the global climate. Since the work of Joseph Fourier in the 1820s, scientists had understood that the atmosphere might hold in the Earth's heat. The conventional view nevertheless was that gases were entirely transparent. Tyndall tried that out in his laboratory and confirmed it for the main atmospheric gases, oxygen and nitrogen, as well as hydrogen. He was ready to quit when he thought to try another gas that happened to be right at hand in his laboratory: coal-gas. This was a fuel used for lighting (and Bunsen burners), produced industrially by heating coal. It consisted of carbon monoxide (CO) mixed with a bit of the hydrocarbon methane (CH4) and more complex gases. Tyndall found that for heat rays, the gas was as opaque as a plank of wood. Thus the industrial revolution, intruding into Tyndall's laboratory in the form of a gas-jet, declared its significance for the planet's heat balance. Tyndall immediately went on to study other gases, finding that carbon dioxide gas (CO2) and water vapor in particular also block heat radiation. Tyndall figured that besides water and CO2, "an almost inappreciable mixture of any of the stronger hydrocarbon vapors" such as methane would affect the climate. (1) But there was far more water vapor circulating, and although CO2 was only a few parts in ten thousand in the Earth's atmosphere, that was still much more than other gases. There is so little methane in the atmosphere that it was not detected there until 1948. (2) In unraveling the causes of the ice ages or any other climate change, there seemed no reason to look further at methane and the like, and for a century nobody paid the matter much attention. These studies, however, gave no reason to think that the gas had any significance for climate change. Thus an authoritative 1971 study of climate almost ignored methane. "To the best of our knowledge," the review concluded, "most atmospheric CH4 is produced [and destroyed] by microbiological activity in soil and swamps." The annual turnover that the experts estimated was so great that any addition from human sources added only a minor fraction. "For this reason, and because CH4 has no direct effects on the climate or the biosphere, it is considered to be of no importance for this report." The authors recommended monitoring the atmospheric levels of the gases SO2, H2S, NH3, and even oxygen, but not methane. (4) There the matter rested through the 1970s. If methane drew little attention, still less went to other trace chemicals in the atmosphere. They were seen as curiosities scarcely worth a scientist's effort. Up to the 1970s, the atmosphere, as one expert later recalled, "was viewed as inert chemically, and for good reason  most of the chemicals known to be present near the surface were essentially inert." The air seemed to be just a simple, robust fluid "that transported pollution away from cities, factories, and fires. "(5) A small amount of research did get underway in the 1950s on how various atmospheric chemicals behaved, but only because their interactions were responsible for urban smog. The public had begun to demand action on the smelly and sometimes lethal pollution. Scientists were especially puzzled by the rapidly thickening smog of Los Angeles, so different from familiar coal-smoke hazes. It was a biochemist who finally recognized, by the smog's peculiar odor, what was going on. When the bright Southern California sunshine irradiated automobile exhaust it created a witch's brew of interacting compounds, starting with highly reactive ozone. (6) The scientists who studied ozone chemistry, interested in ground-level pollution, gave no thought to possible connections with global warming. The history of climate science is full of unexpected linkages, but perhaps none so odd and tenuous as the events that drew public attention to ozone in the upper atmosphere. It started with concerns over a fleet of supersonic transport airplanes that governments envisioned. Beginning in 1970, a few scientists drew attention to the nitrates (NO, NO2, and in general NOx) that the jet planes would emit in the stratosphere, along with sulfates (SO2) and water vapor. They speculated that the chemical aerosols could stimulate the formation of water droplets, altering cloud cover with unknown effects on climate. Moreover, the chemist Paul Crutzen showed that a single nitrate molecule, reacting again and again in catalytic cycles, could destroy many molecules of ozone. (7) That could be serious, for the wispy layer of stratospheric ozone is all that blocks harmful ultraviolet rays from reaching the Earth's surface. For the first time, a portion of the atmosphere was shown to be chemically fragile, easily changed by a modest addition of industrial emissions. The ozone problem combined with other, weightier arguments to sink the plans for a supersonic transport fleet. The new ideas provoked a few scientists to take a look at how the upper atmosphere might be affected by another ambitious project  the hundreds of space shuttle flights that NASA hoped to launch. They found that the chlorine that shuttles would discharge as they shot through the stratosphere might be another menace to the ozone layer. This concern, discussed at a meeting in Kyoto in 1973, helped inspire Mario Molina and Sherwood Rowland look into other chemical emissions from human activities. The result of their calculations seemed fantastic. The minor industrial gases known as CFCs (chlorofluorocarbons) could become a grave threat to the ozone layer. When scientists explained the threat to the ozone layer to the public, an agitated controversy broke out over the use of CFCs in aerosol spray cans and the like. The crude but worrisome calculations, and the vehement public response, drove a major expansion of observational and theoretical studies of the stratosphere's chemistry. All these gases had been overlooked because their quantities were minuscule compared with CO2. But there was already so much CO2 in the air that the spectral bands where it absorbed radiation were already quite opaque, so you had to add a lot more of the gas to make a serious difference (for more on this "saturation" see the essay on Basic Radiation Calculations). A few moments' thought would have told any scientist that it was otherwise for trace gases. Each additional wisp of these would help obscure a "window," a region of the spectrum that otherwise would have let radiation through unhindered. But the simple is not always obvious unless someone points it out. Understanding took a while to spread. Well into the 1980s, the public, government agencies, and even most scientists thought "global warming" was essentially synonymous with "increasing CO2." Meanwhile, many thousands of tons of other greenhouse gases were pouring into the atmosphere. Appeals from scientists and public activists led to a ground-breaking international agreement, the 1987 Montreal Protocol. It had great success over the following decade in reducing emissions of CFCs. There were also unexpectedly large benefits for climate, since CFCs exert a powerful greenhouse effect. The regulations that governments enacted to enforce the Montreal Protocol turned out to be among the most effective actions to restrain global warming taken over the next decade or so (although complications appeared later, see below). For other emissions such as sulfates and nitrates, scientific and public attention again focused on short-term local harms, the foul smog and acid rain. Some researchers pointed out, however, that these chemicals could affect climate indirectly by forming aerosols that would alter cloud cover. The pollution studies were rapidly building a stock of scientific information about the complex chemistry of the atmosphere, and it seemed increasingly relevant to climate researchers. So did the unsettling news that a gas like ozone, which significantly influenced the planet's radiation balance, could go through large swings. The groups who were constructing complex computer models of climate began worrying how to incorporate atmospheric chemistry as yet another factor in their systems. 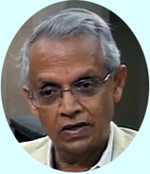 After Ramanathan identified methane as a significant greenhouse gas, studies of its role in global carbon cycles accelerated. During the 1980s, scientists came to see that although the methane in the air comes largely from plants and animals, that did not mean human effects were negligible. For humanity was transforming the entire global biosphere. Specialists in obscure fields of research turned up a variety of biological methane sources that were rapidly increasing. The gas was abundantly emitted by bacteria found in the mud of rice paddies and burped up from the guts of cud-chewing cows, among other places. Especially intriguing was methane from the guts of termites: an early experiment on one species of termite suggested they might be extremely important. (Later work with other species lowered their significance; it turned out that wetlands were the largest natural source of methane, with termites a distant second producing only one-fifth to one-tenth as much. )(19a) And what about accelerated emissions from the soil bacteria as well as termites that proliferated following deforestation and the advance of agriculture? Moreover, natural biological activity could be altered by the rise of CO2 levels and by global warming itself, making for complicated and enigmatic feedbacks. Meanwhile, a 2005 study of the complex chemical interactions in the atmosphere calculated that adding methane was even more powerful in bringing greenhouse warming than previous studies had estimated. It also seemed increasingly likely that clathrates in the warming seabed would release massive amounts of the gas, although (good news for once) that would probably take thousands of years. (27a) Any of these processes might leave the planet stuck more or less permanently with a climate unlike any that had been seen for many millions of years. Back in 1986, Dickinson and Cicerone had carefully separated the temperature changes that gases might ultimately cause from their immediate and direct physical influence on radiation. They called these direct influences "thermal trappings"  what later came to be called "radiative forcings. "(28) Unlike the ultimate global temperature with its complex feedbacks, the physical forcings could be calculated in a straightforward and reliable way. That made it easier to compare the consequences of changes in the different agents  not only different gases but also aerosols, cloud cover, changes in land vegetation, the Sun's radiation itself, and so on. This subtle but important shift in approach increasingly took hold over the following decade. A 1990 report by an international panel of scientists put the idea in a revised form more useful for policy decisions: the "Global Warming Potential (GWP)." This included not only the effects of a gas, but also how long it will stay in the atmosphere. When a pulse of methane, for example, is introduced into the atmosphere, half of it is gone after seven years, whereas CO2 lingers for centuries. Over a 20-year time frame a methane molecule has some 80 times the GWP of a CO2 molecule, but over a hundred-year span the ratio is roughly 25 (this number is methane's "Carbon Dioxide Equivalent" in another newly minted terminology). That would eventually become important for policy discussions, like whether to replace coal in power plants with natural gas. Discussions would become confused and even acrimonious when people failed to specify their time scale. That pushed into the very center of policy-making the fact that additions of some long-lingering trace gases had a potential for warming, molecule for molecule, hundreds or thousands of times stronger than additional CO2. (29) In particular, although the current greenhouse effect from N2O was not very large, studies found that the gas would remain in the atmosphere for a century or more, with some 300 times the Global Warming Potential per molecule compared with CO2. And the level was soaring, thanks to emissions from fertilizers and cow manure. Climate scientists had never given this gas as much attention as they gave to methane, with its fascinating biological feedbacks. But by the early 21st century, N2O had become nearly as important a greenhouse gas as methane. By 2009 many scientists believed the effects of nitrates had been seriously underestimated. Indeed, replacing fossil fuels with "biofuel" manufactured from corn might increase global warming, thanks to the emissions from soil bacteria stimulated by the fertilizers used to grow the corn. The more scientists studied the emissions of this and other nitrogen compounds such as nitrates, the more confused they got. Not only was it hard to measure how much was emitted, but the compounds reacted in complicated ways with smog chemicals, ozone, methane and CO2. Meanwhile nitrogen compounds fertilized plants and ocean plankton. Some of the interactions resulted in more greenhouse warming, while others removed greenhouse gases and would have a net cooling effect. Experts now agreed that sound policy should take into account all the potential causes of warming. To take one surprising example, leaks of methane from gas pipelines turned out to add significantly to global warming. Meanwhile the headlong rise of methane in the atmosphere seen in the 1970s and 1980s had slowed to a more sedate pace. The reasons were unclear (they may have included the collapse of the Soviet Union's economy, greater efficiencies in production and distribution of the gas, droughts and the draining of wetlands, and better control over release of methane from oil fields). After 2000 the methane level did not rise at all... until 2007, when it again began to climb ominously. Scientists advanced a variety of possible explanations. For example, was the rapid growth of natural gas production by hydraulic fracturing ("fracking") leaking a sizable fraction into the atmosphere? Aggressive steps to further cut back inefficient releases of such gases might be the most cost-effective way to begin reducing the risk of harm from global warming. Tight regulation of leakage became a major issue as the new fracking technique vastly increased the production of natural gas. Another example: restraining the rapid increase of "black carbon" smoke and soot — an aerosol pollutant that interacted with chemical gases and in itself was roughly as powerful as methane in warming the globe — would bring immediate savings for human health as well as reducing climate change. Yet another example: the gases known as HFCs (hydrofluorocarbons), developed to replace the banned ozone-destroying CFCs, turned out to be powerful greenhouse gases. Production of HFCs for air conditioning and refrigeration was soaring, encouraged by global warming itself. The gases would add significantly to the warming, but governments hesitated to restrict production.